Erasmus Student Network (ESN) ASE Bucharest is a local association, part of ESN Romania. Our goal is to support and develop student exchange on a local, national and international level. 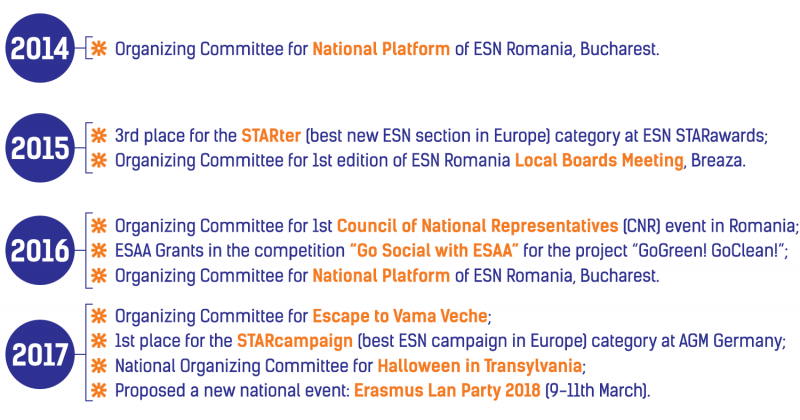 The initiative group began its activity in August 2013, when they decided to build up a new section of ESN Romania, becoming ESN ASE Bucharest on 24th of May 2014.